The Birth of Venus (detail) by Sandro Botticelli – Such an appropriate title for this moment of time! Today is the Transit of Venus! Yesterday was the Full Moon Lunar Eclipse! and on May 15 Venus went Retrograde. All of these events occurred along the Gemini/Sagittarius axis of knowledge and wisdom. That’s 3 weeks of amazing astronomical and astrological alignments. Re-birthing your mental attitudes and beliefs. AND whether male or female, allowing your inner feminine to emerge fully formed and functional. These four events mean that we are living in a rare moment in time – a moment when a great shift is happening around us, through us and inside us. It is a shift toward more love, more compassion, and more forgiveness – if that is what you intend. If that is what we intend together. If you believe… if you trust. If we believe and trust together. If we grasp the knowledge and distill the wisdom from it. It is a shift integrating the Mind with the Soul – and I mean this both as a personal evolution for you as well as a social and cultural one. We are moving from the cold region of science as God (a masculine mind-set), to a warmer climate that balances science with faith, intuition, love, beauty and wisdom of the heart and Nature, and the needs and desires of the Soul (a feminine mind-set). They say that very long ago in a misty, green and fertile world humans lived in a Matriarchy, where Nature and the Great Mother ruled supreme. In the past few thousand years, we have lived and still live in a Patriarchy, where Science and the Great Father reign supreme. This moment in time is part of the shift of finally integrating both worlds, masculine and feminine, if we are wise enough to co-create with the energies that are offered. We have, since the dawn of the Industrial and Technological Revolutions, elevated science to such a status that we metaphorically swallowed our more instinctive, more natural, more feminine natures whole, leaving them in the darkness of our subconsiousness, so that we could pursue the masculine mental world of tearing things apart to label them and better understand how everything works. We find a wonderful correlation in ancient Greek Mythology. Zeus (known to the Romans as Jupiter and the ruler of Sagittarius in the astrological world) swallowed his wife Metis and their child Athena. Metis and Athena (both women) represented Wisdom – and until Zeus swallowed them (out of fear of being overthrown and in his blindness to the reality of his situation) he had not incorporated Wisdom internally. But after he swallowed them, he gave birth to Athena fully formed from the top of his head (both a mind and spirit point of the body), and was forever afterward known as a God of Wisdom – integrating what he hadn’t had before. My point here is that it was only after a period of darkness (Metis and Athena within the tomb of Zeus’s body) and an out-of-balance period of time (a god lacking Wisdom), that true Wisdom was allowed to be born and lived out. Once Wisdom was taken internally – digested and understood – it could then be born through the mind with clarity and full functionality through a feminine form. Back in balance. How does this story relate to Venus Retrograde, the Solar Eclipse in Gemini, the Lunar Eclipse in Sagittarius and the Transit of Venus? 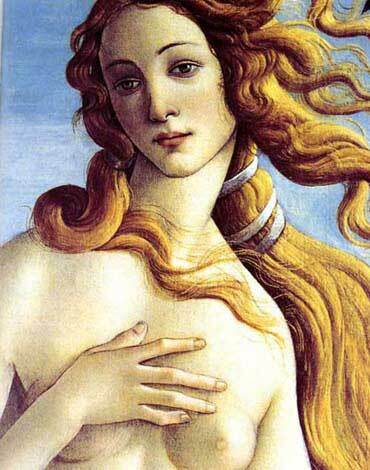 May 15, 2012 Venus Retrograde: Venus appears to move backwards in space, initiating a period of darkness, internalizing and re-imagining all things related to Venus: love, giving & receiving, relationships, values, resources, art, beauty, aesthetics, desire, allure, adornment. 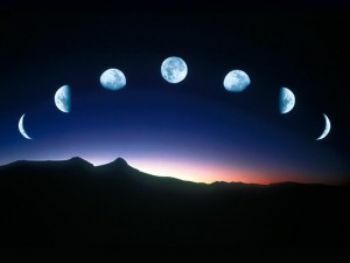 May 20, 2012 New Moon Solar Eclipse in Gemini: Endings and new beginnings around the mind, and the solar aspects of humanity, i.e. the masculine, thinking, analyzing, processing aspects. Bringing forward the dark feminine inner world as the Moon (women, mother) blocks the face of the Sun (authority, ego, Father.) I view Eclipses as portals that we can step through – a period of opportunity for transformation and during which the actions of processing and integrating change move faster than usual. June 5/6 2012 Transit of Venus across the Face of the Sun: Venus, as she retrogresses, is “swallowed” by the Sun as she crosses directly in its path. Then as Venus continues to backtrack farther and farther away from the Sun and deeper into darkness over the next 3 weeks (until she moves direct on June 27) we are fully in a gestation period – or a time of digesting the symbolism of the ultimate feminine: of love, harmony, grace, beauty, unconditional love, forgiveness and compassion. The hope is that upon Venus’s return to direct motion, after the dark gestation period, we will more fully live from the newly integrating feminine and loving qualities that Venus represents. These 4 events are energetic opportunities to move in a very wonderful and much needed direction. I don’t believe that we will all suddenly live in Utopia where everyone loves and understands all other people, and lambs will lie down with lions without fear. This is a process – and one that we have been on for many years already. We are steadily moving toward a time when the role of human beings and the way we relate to one another culturally, socially and politically is different than it has been for a VERY long time. And we are also steadily moving toward a time when we relate to the Earth, our Mother, in a more conscious and evolved way. We can view this moment in time as a birth pang or a contraction in the birth process of a new era for humanity. It won’t happen overnight and it won’t happen without more labor pains – yet there is something rare and beautiful about the potential that is surrounding us right now and into the next few months. Fortunately, the effects of an eclipse season are often felt and results seen months and even years into the future. I believe the same is true for the effects of the Transit of Venus. I do believe that this moment in time will get us closer to a more loving, more peaceful existence with each other, especially if we take the opportunity to move and evolve with the energy around us. That means focused intention – consciously projecting love, acceptance, harmony and peace into our personal lives and into the greater world. And also consciously asking for greater wisdom in understanding others and in our relationships, both personal and with the world at large. I also believe that women as a whole will move more into the forefront of the movement of change and transformation that we are undergoing. And I think that can only be a good thing. 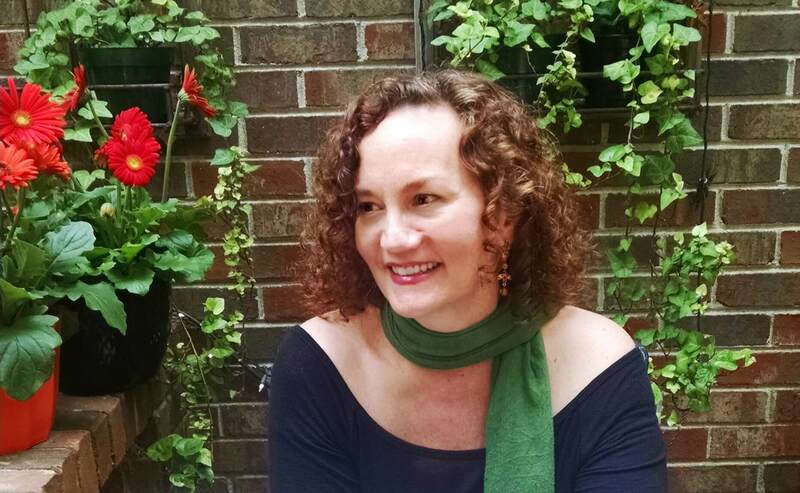 So, I implore you, don’t let this amazing opportunity pass by without co-creating MORE LOVE! Think and intend and open your hearts, and then project it all forward and outward. The time for greater love is now. Lunar Eclipse in Sagittarius and the Transit of Venus = More LOVE! 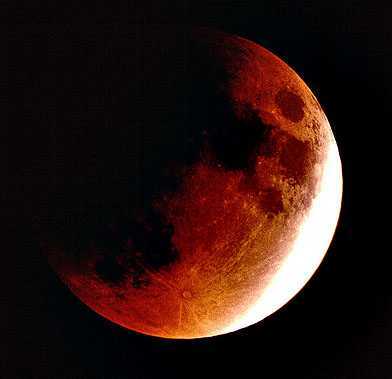 Lunar Eclipse in Sagittarius – Endings and beginnings that lead to greater wisdom and fuller understanding of others. At this Full Moon, this Lunar Eclipse in Sagittarius, when the darkness leads to light, I am illuminated through the earthly ways of others and embrace them consciously – opening my heart to a learning experience that will pave the way to greater wisdom. I seek out new ways of being via those who are different than me, explore their beliefs, their cultures, their religions, in an effort to expand my own awareness and ACCEPTANCE of EVERYONE as worthy of love and honor and respect. I leave off with morality judgements, pride, hubris and self-righteousness – understanding that these divide me from others and from grace – rather than unite. I focus on living and sharing my noble-mindedness, recognizing the good and godly in others and in myself. At this Lunar Eclipse, this wondrous Full Moon in Sagittarius, I travel through life with optimism and enthusiasm, trusting my intuition to lead me on the true path of the evolution of my mind, of my heart and of my soul to new a wisdom, sourced by Love. I feel the wonder, the exuberance and the sheer joy of life, and live always from that space. We’re in a moment in time that is a rare and perfect opportunity to come together as a global community and create a more loving, more compassionate reality via our conscious intentions during the Lunar Eclipse on June 4, 2012 (7:13 AM Eastern) in conjunction with the literally once in a lifetime Tranist of Venus on June 5/6 (6:00 PM through Midnight Eastern). This moment of unconditionally loving feminine energy, via the Moon and Venus together across the signs of Sagittarius and Gemini, contains the seeds of change. This is a portal that we can step through if enough of us intend together… a portal to a more loving, compassionate and forgiving future as human beings living together on this tiny blue planet. The words to focus on right now and for the next several days are MORE LOVE. Here are links to some really great information about Venus Retrograde, the Eclipse and the Transit of Venus… please read, watch and enjoy! And then with the power of your mind and the love in your heart, intend a more loving, forgiving world for us all! Matt Damon and Emily Blunt in The Adjustment Bureau - A very Mercury Retrograde kind of movie! So many of you have struggled with the current Mercury Retrograde… I’ve heard story after story from clients and friends – some of them quite funny and some of them very serious. I’ve had my own misadventures this Retrograde as well! When you realize that this Mercury Retrograde period coincided with the New Moon Solar Eclipse in Sagittarius on Nov. 25, the very powerful Full Moon Lunar Eclipse in Gemini on Dec. 10 and Uranus going Direct (after 5 months of being Retrograde) at the zero point of Aries, you may begin to understand just how powerful this Retrograde has been. In conjunction with the eclipses it had the potential to be life changing. I just want to remind you that if you did experience personal, business, relationship or career issues during the past 3 weeks, they happened either to wake you up to something or to remind you that something needs a little adjusting. Remember the movie The Adjustment Bureau with Matt Damon and Emily Blunt? That whole story was like one huge Mercury Retrograde. There was a team of officials who reported to the Universal Master Mind/God – and who behaved and looked like the FBI. 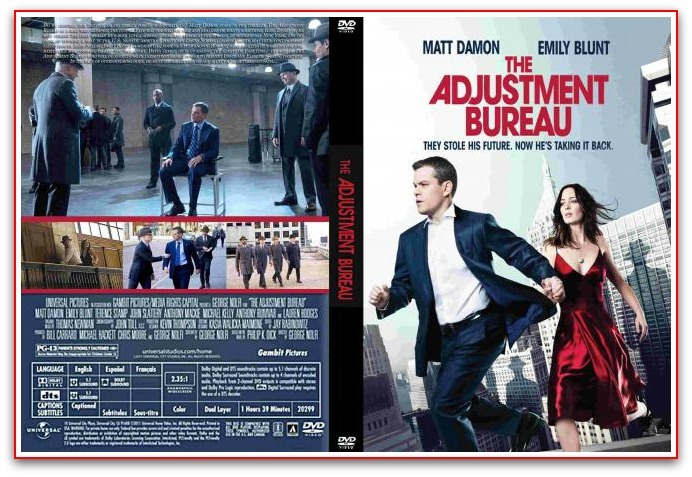 These Adjustment Bureau officials were meant to keep people living in line with the course of their destiny. That film brought up all kinds of questions about free will and fate, but setting those questions aside – I tend to look at Mercury Retrograde periods as your own very positive version of an Adjustment Bureau – not an outside force trying to keep you on their track from the outside, but an Adjustment Bureau from within – as a human responding dynamically and with intention to the energy that is around you. If you’re strongly impacted during a Retrograde, you likely to have planets or points in your chart that are in the same sign (or a sign squared to that sign) and near the same degree as Mercury during those 3 weeks of retrogression. You’re being given an opportunity, via communication, transportation, contract, and/or technological mess-ups to pull back, re-evaluate, take a deeper look at and restore whatever it is that’s not quite in sync with who you’ve become and who you are in fact becoming from your own mental perceptions. You’re given the opportunity to adjust your mental attitudes, the way you think about things, the way you communicate with the folks around you. It’s kind of wonderful when you think about it! This Retrograde was in Sagittarius traveling backwards between 20 and 3 degrees (there are 30 degrees in every astrological sign). So for the signs Sagittarius, Gemini, Virgo and Pisces, this would have been a great time to pay attention to any obstacles or cranks and ask why they were there. And then ask what you can do differently that would put you on a smoother track. Sagittarius is all about the belief system, your philosophies on life, your moral compass and how you judge yourself and others. It’s also about the freedom to expand and grow beyond your current parameters – which are almost definitely parameters that you have set for yourself – even if they came in the guise of job, career, or family restrictions. So this particular Retrograde will have many of us questioning our current life path en toto – because this one is about adjusting what you believe in. Now – the Retrograde motion itself is officially over tonight – but the planet doesn’t reach it’s normal speed until early January – the same time as it passes the 20th degree which is where it started its backwards movement. That means we aren’t “out of the shadow of the retrograde” until the first couple of days of January. So you have time to continue to reevaluate, relax, re-do, and restore whatever is appropriate. I encourage you to wait until after Jan. 1 to sign contracts and push forward fully with anything that has come into question. You’ll definitely feel the difference and do begin to flow with the forward motion. Just give yourself plenty of time to plan and lay a strong foundation for any changes that you’re making as a result of this time of adjustment. And give thanks! Your personal, internal adjustment bureau is looking out for you – not making your decisions for you… just showing you the best places inside or out, that need a little conscious tweaking.